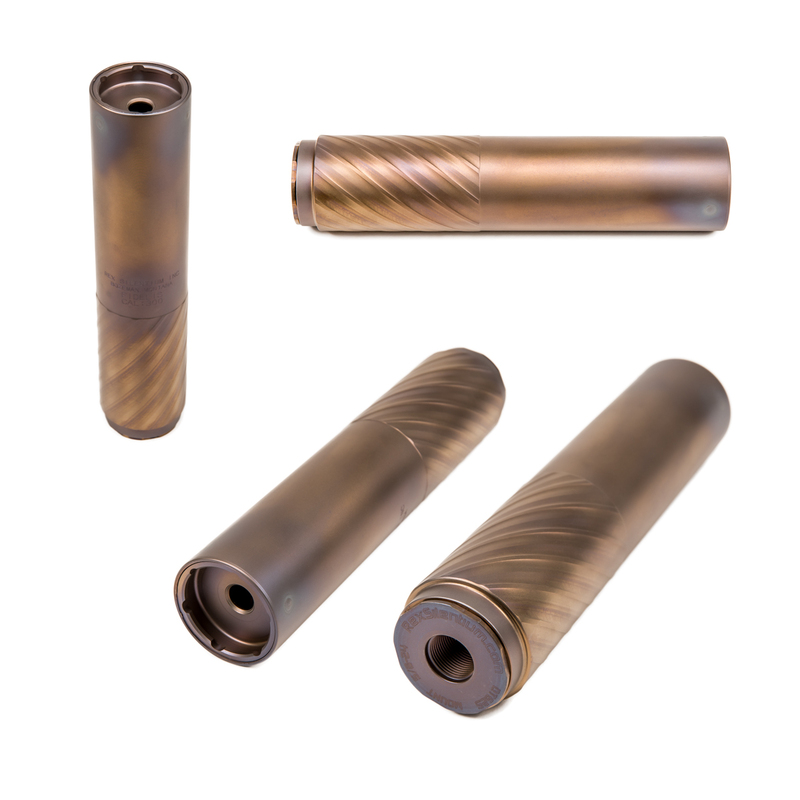 Of the three different length rifle suppressors, FIDELIS is the largest and ready to tame your fiercest magnum's noise. FIDELIS is Latin for faithful. 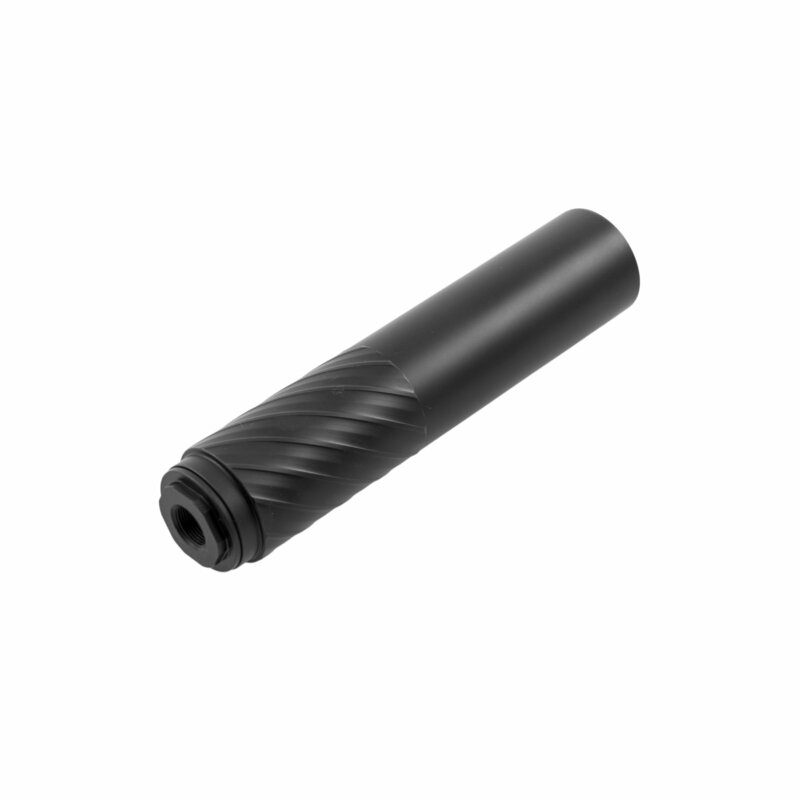 Choose this suppressor for maximum sound suppression performance. Our design is suppression-centric. What good is a suppressor if it does not suppress to its fullest potential? 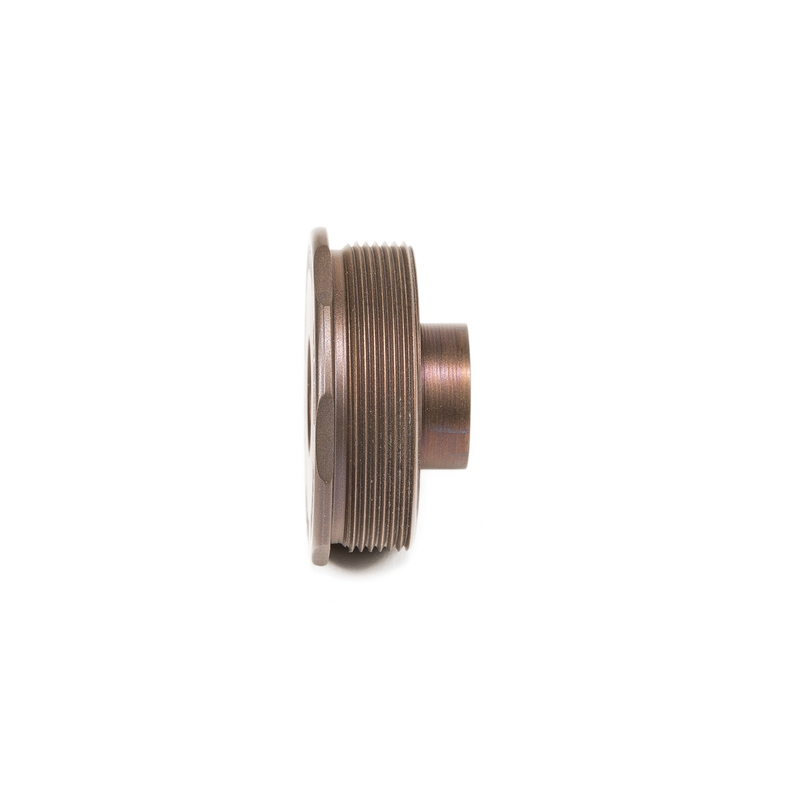 We have also incorporated a lower back-pressure design for use on a variety of semi and full automatics. Users will enjoy the benefits of zero impact shift in addition to the impressive sound reduction. 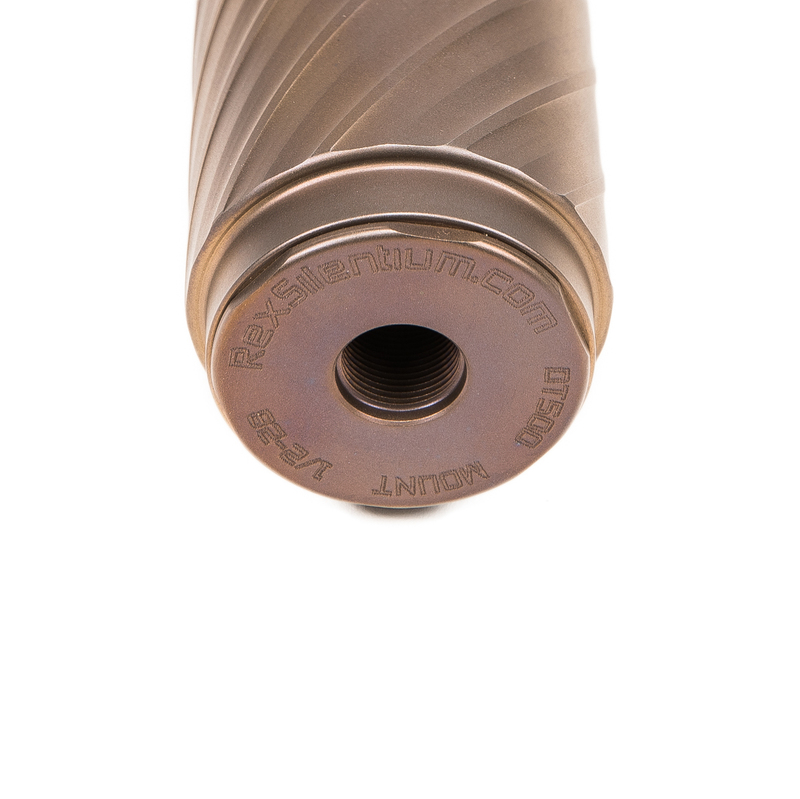 The FIDELIS has been roundly tortured for months in rigorous testing with thousands of rounds. 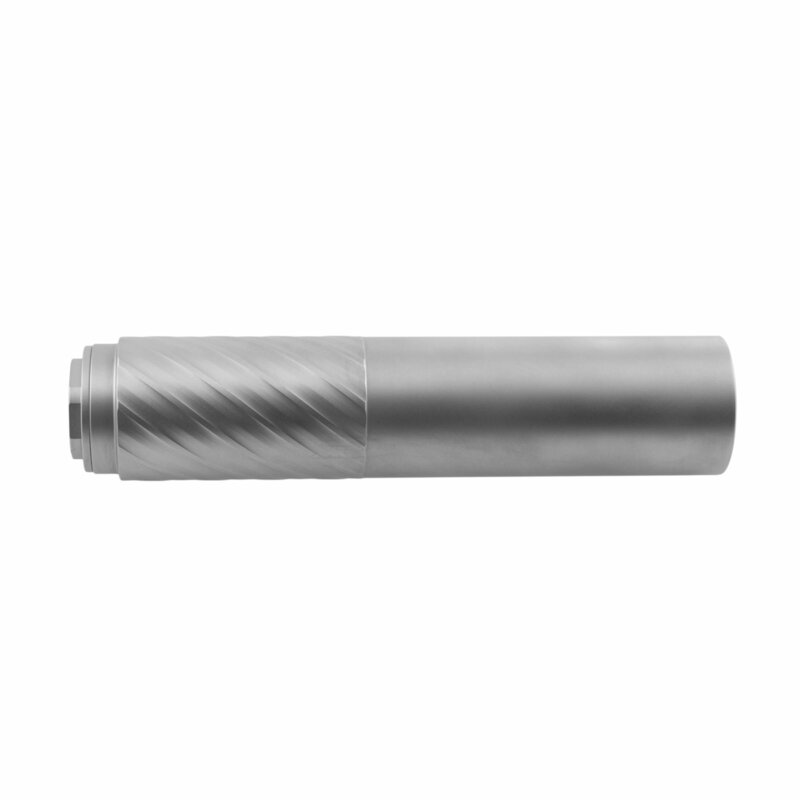 Made from 100% 17-4PH Hardened Stainless Steel, the FIDELIS and all of our rifle suppressors are full auto rated. It will last a lifetime on semi-auto and bolt action rifles. 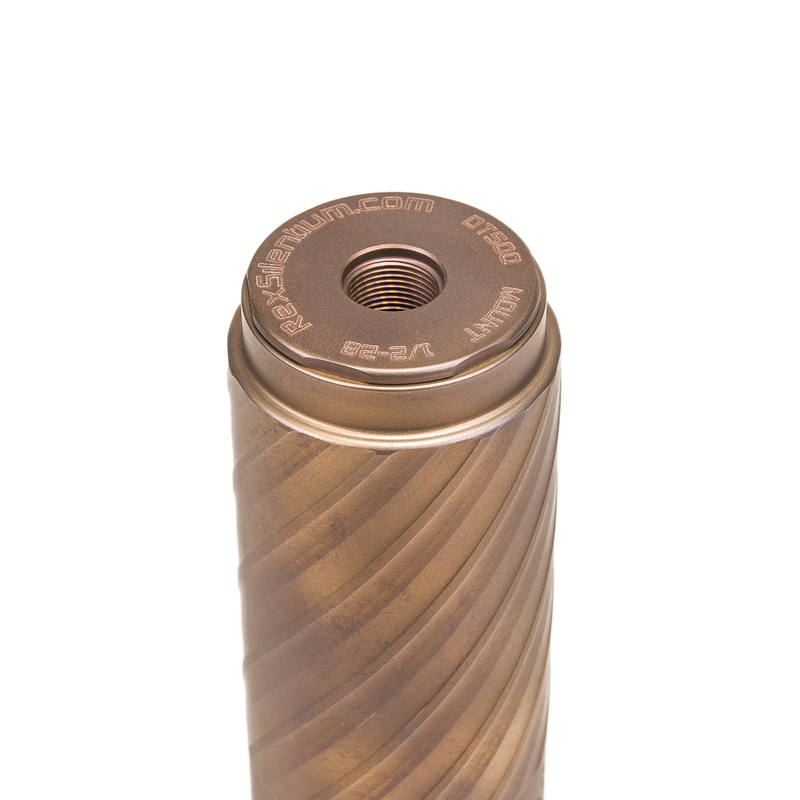 This is a precision suppressor ready for use from 1000 yards or more to running-and-gunning your favorite match! 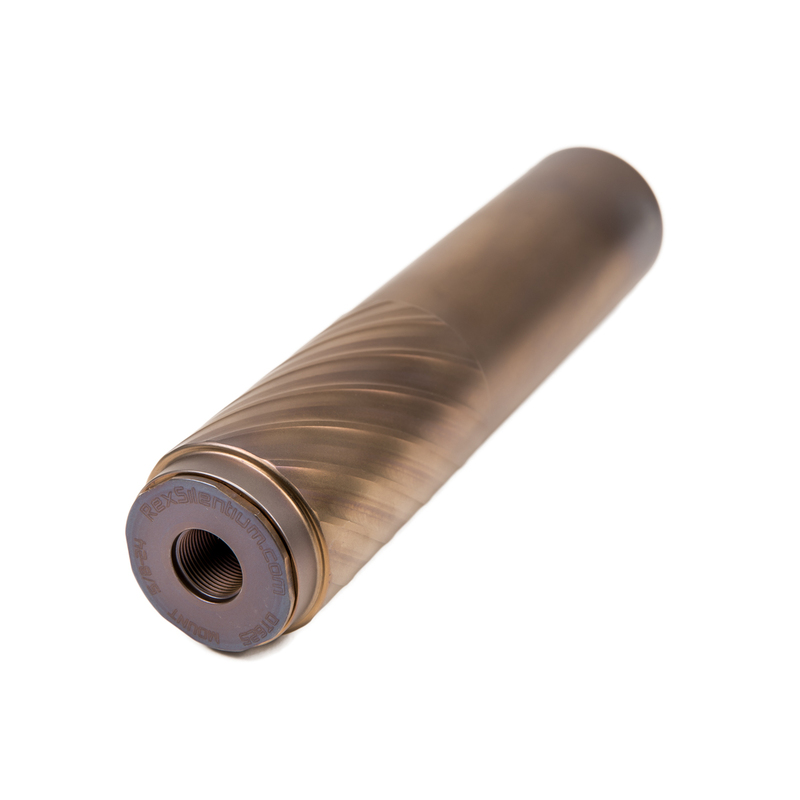 The beauty of our design is that we can customize any of our rifle suppressors for your exact mission. Many manufacturers make a one size fits all suppressor. This obviously sacrifices performance. 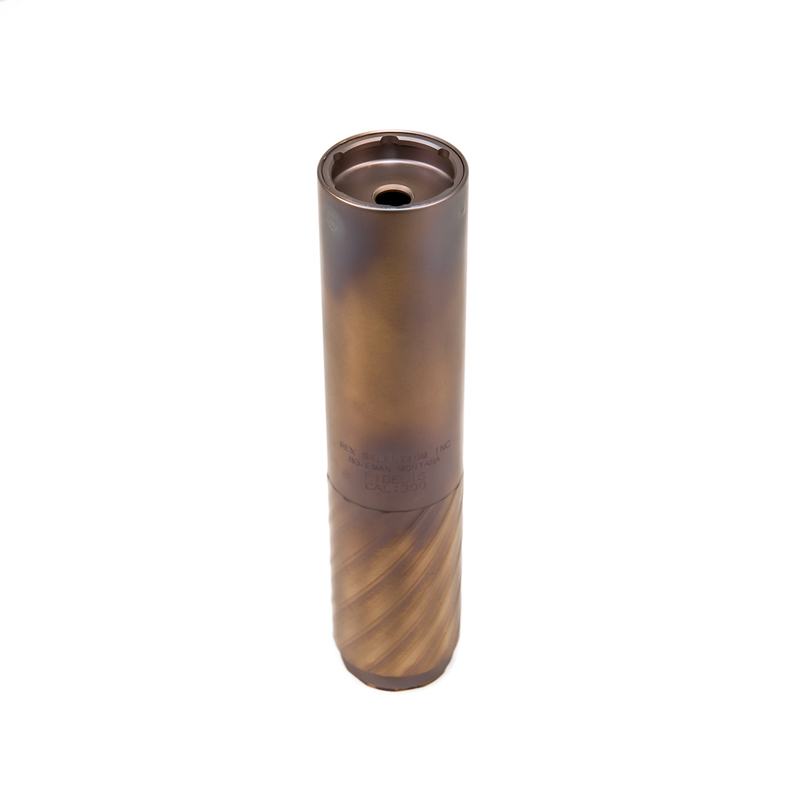 Select from our list of bore sizes and we will make a custom suppressor just for you or choose a large bore that will work on your smaller calibers as well. For extreme duty and sustained fully automatic fire (i.e. 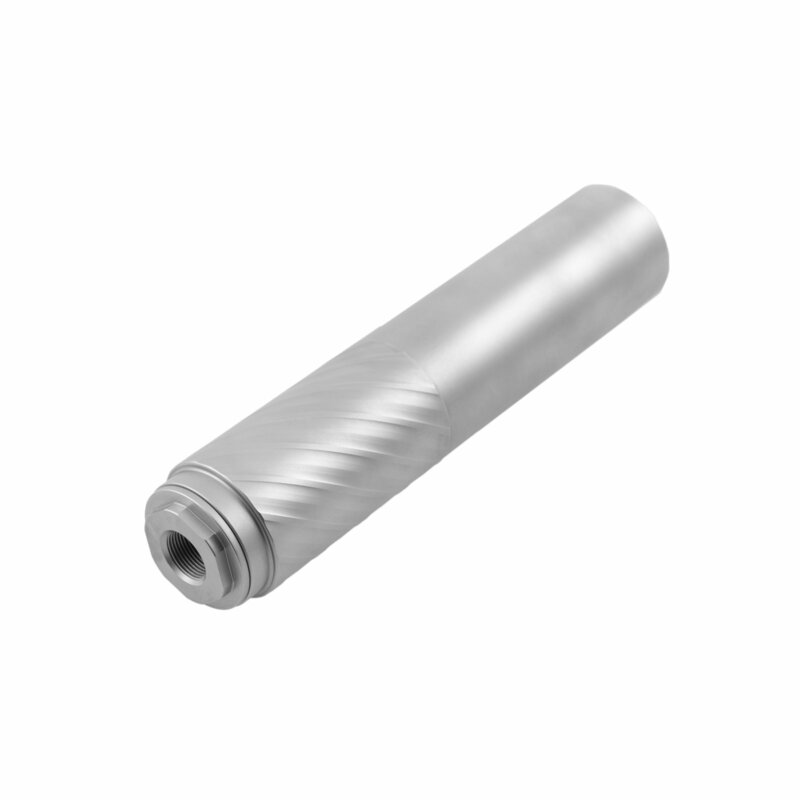 belt-fed) we offer optional Stellite baffles for all bore sizes we offer. 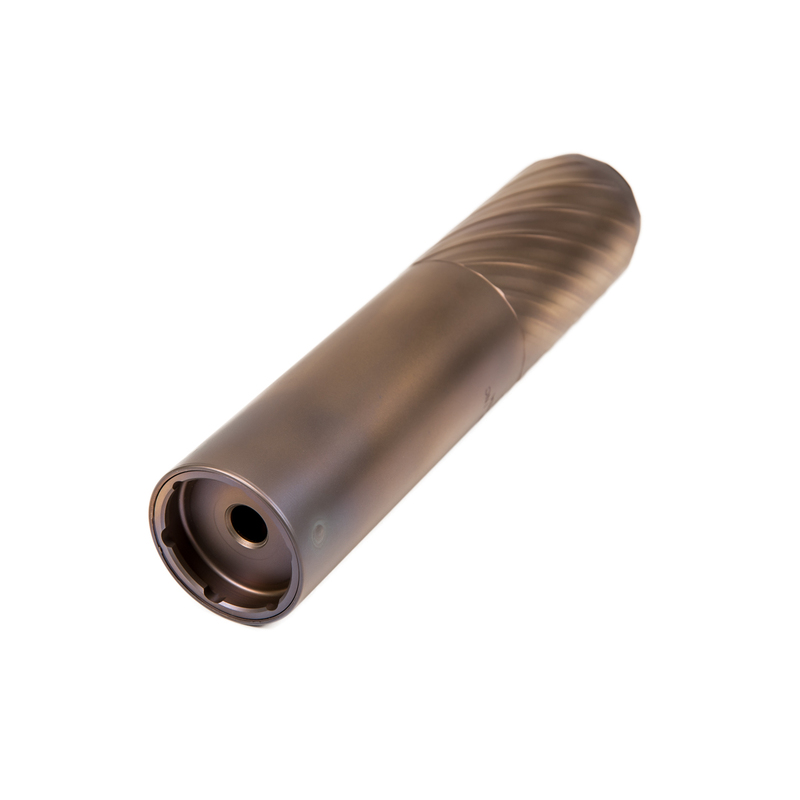 With the many options provided, we can build the exact suppressor you need. 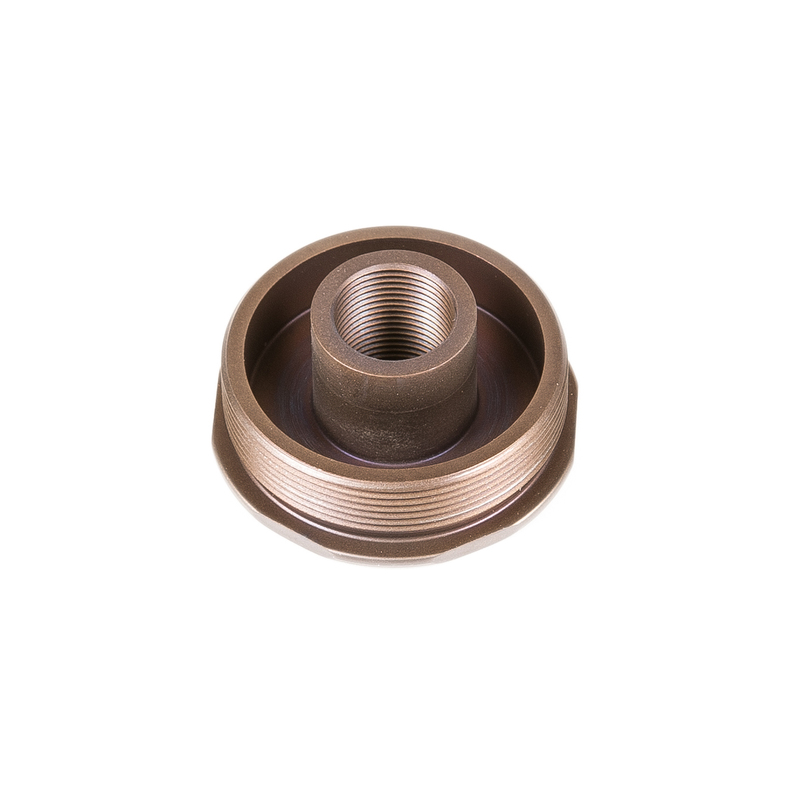 Our Direct Thread Mounts come in many stock threads. 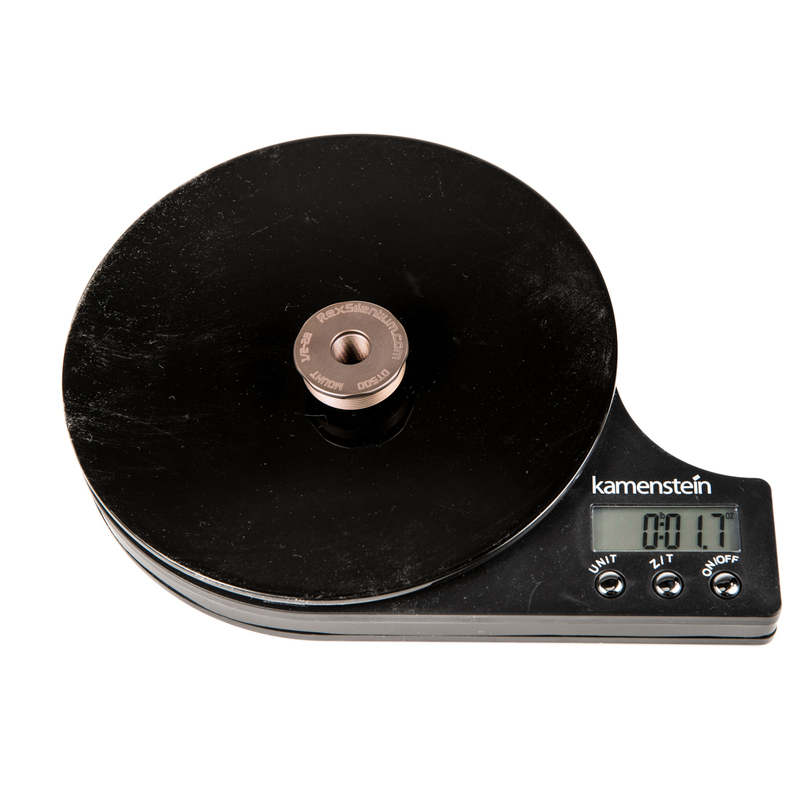 One mount is included with each suppressor and are also available separately. Your thread can easily be custom cut into our mounts. 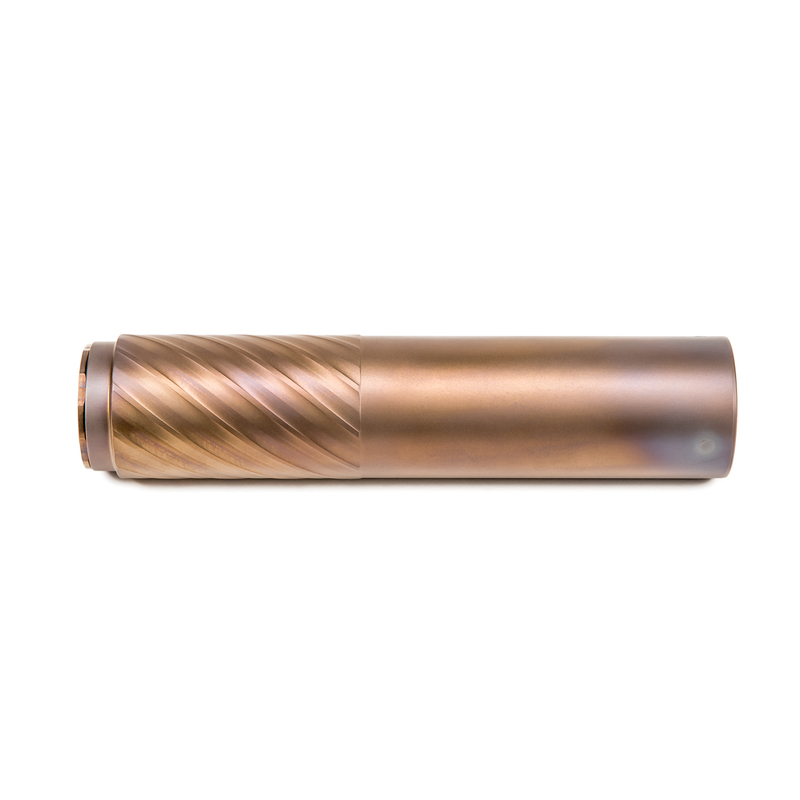 The FIDELIS and all of our rifle suppressors are compatible with industry standard quick disconnect (QD) mounts. The Dead Air(tm) Key-MO(tm) and the SilencerCo(tm) ASR(tm) QD mounts work well with our rifle suppressors. These QD mounts makes swapping your FIDELIS between firearms extremely easy. Matte stainless steel finish with optional High Temperature Cerakote finishes. FIND A CLASS 3 DEALER IN YOUR AREA! To place an order, you must live in the USA in a state that allows ownership of silencers and you must be legally allowed to possess firearms. This item is restricted and can only ship to Class 3 FFL dealers. To best speed your order processing, please have your Class 3 FFL email us their FFL and current SOT before or soon after you order .